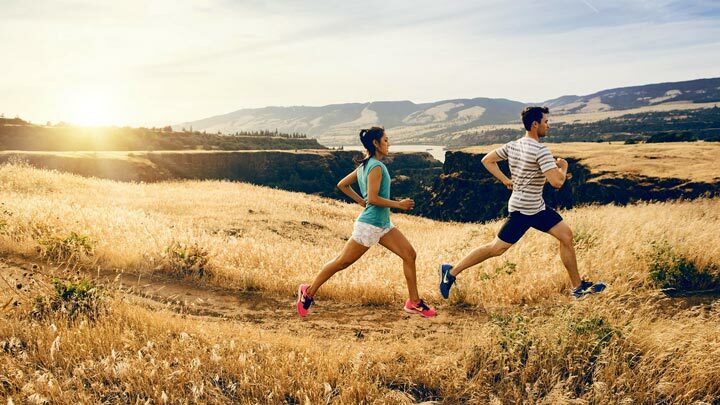 Should you work out inside or outside? At the gym or at home? People debate over which is better for exercise, and usually say that exercising outdoors will help you lose weight faster, but the truth is, it doesn’t really matter where you work out. The key is to find a routine that works for you and stick with it – whether at the gym, outdoors or at home. 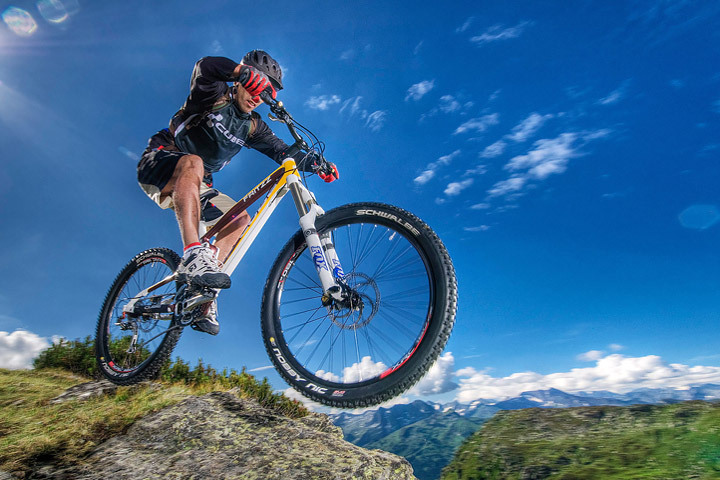 However, exercising at home is the cheapest and most convenient way to get in shape. You don’t need to find a babysitter, you can’t use bad weather as an excuse, and you can wear your 80’s workout gear that you secretly still like without being stared at. 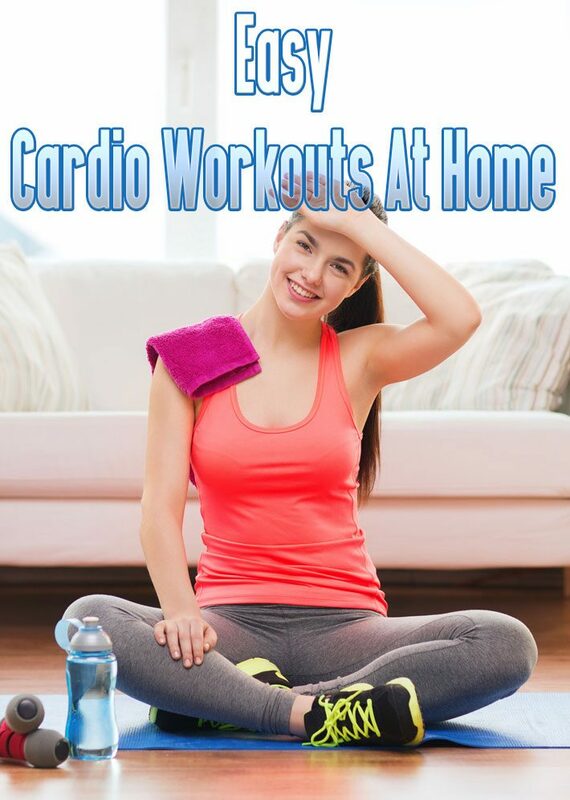 Aerobics will give you a good cardio workout at home and keep your heart rate up. Look for videos that also give warm-up and cool-down exercises and at least 30 minutes of cardio. If you are just beginning to get in shape, be careful not to overdo it with these videos right away. It can be easy to become discouraged in the beginning, so start small and work your way up. Walk Away The Pounds by Leslie Sansone is a good place to start. 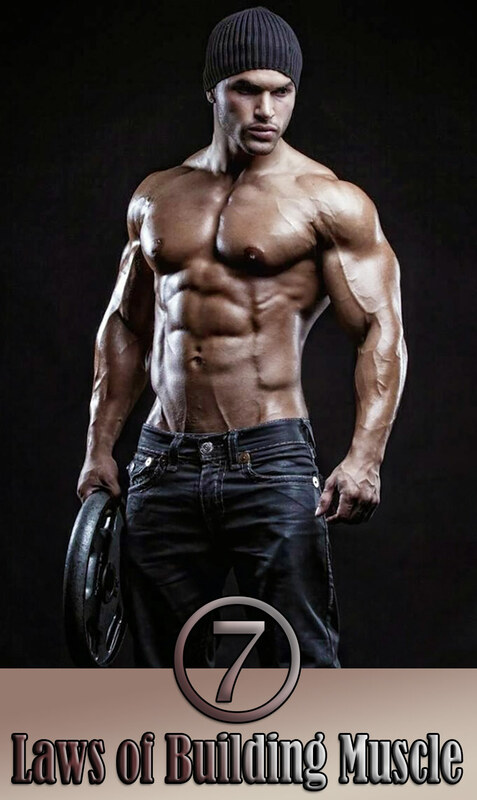 This DVD has gotten some great reviews from users and will build your endurance. Jillian Michaels has a few DVDs out that are great for cardio workouts at home. You can also find some of her workouts on youtube, but it’s probably best to buy at least one DVD so you always have it. Billy Blanks has a few kickboxing workouts that will definitely test your endurance! These workouts are more intense, so make sure you already have a couple of weeks under your belt before trying any of his DVDs. As with any type of exercise, it is recommended that you don’t do these videos every day. Try them 2 to 3 times per week, and use another workout on the in between days. Do this routine in between other cardio or strength training days, and don’t forget to stretch afterwards, or you will regret it the next morning. Many gyms have step classes and provide members with different sizes of “steps” to exercise with, but you can get a great step workout at home for free. 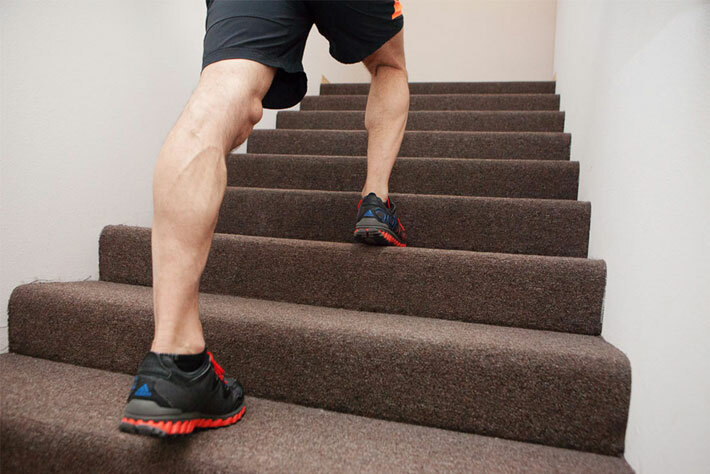 For safety reasons, stay on the first 1 to 3 bottom stairs in your home, and always wear running shoes. Put on some cardio music and make sure you workout both legs equally as you step up and down those bottom steps. Once you work your way up, you can try taking 2 steps at a time during your step workout to make it a little harder. Just remember to be careful as you do this. 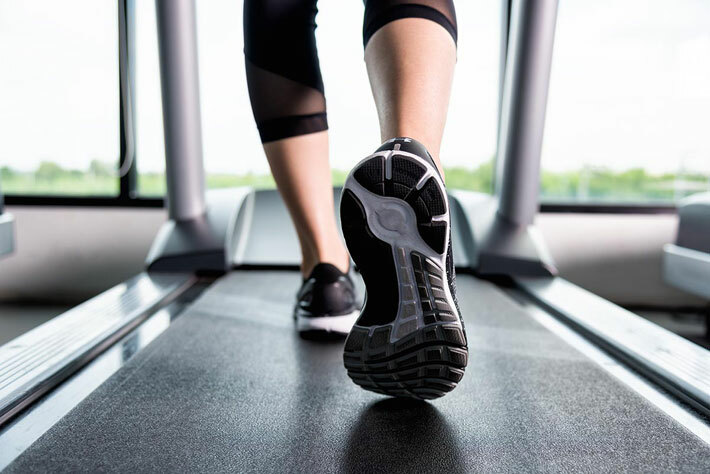 Many people own either a treadmill or an elliptical, but most of these are buried somewhere in the basement. If you do own one of these, it would be well worth your while to use it a few times per week if you want to workout at home. The best way to increase incentive to use a treadmill or elliptical at home is to make your exercise space more inviting. Put a TV in front of your machine and you can set goals according to the length of your favorite shows. The distraction of TV will help you to work out harder and longer than you normally would. Keep the room clean and clutter free as well so you will want to spend time in that area. 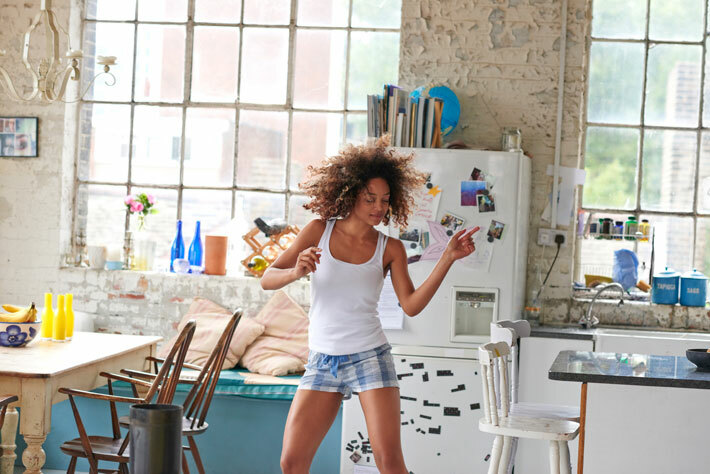 Dancing is a great way to get a cardio workout at home, and it’s the most fun way to get into better shape. Choose some upbeat music that inspires you to move, create a playlist so you won’t have to stop dancing in between songs, close the curtains and get dancing! Although dancing is fun, remember that you are also doing it to get a cardio workout, so make sure you get your heart rate up and break a sweat. If you are just beginning to exercise, start with 3 songs, and work your way up to an hour after you’ve built up more endurance.